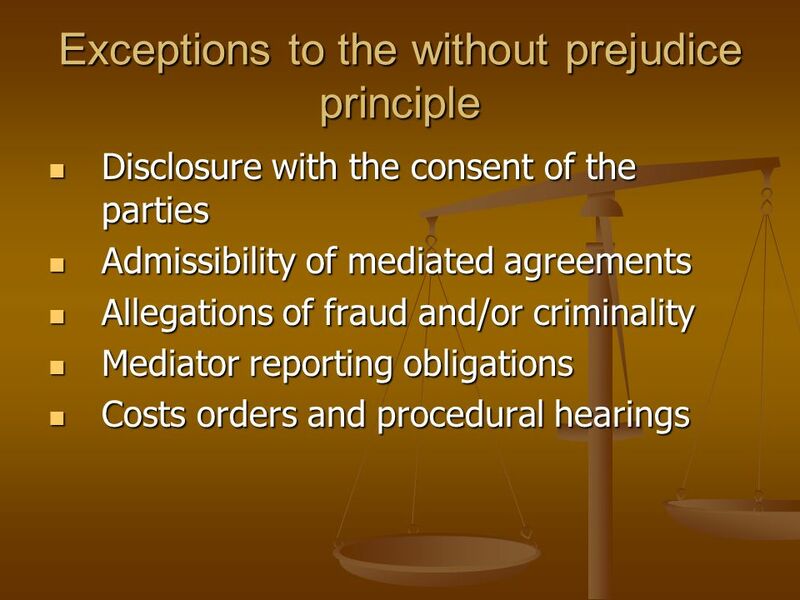 If the parties to a dispute conduct an ADR process before litigation then section 131 of the Evidence Act applies. 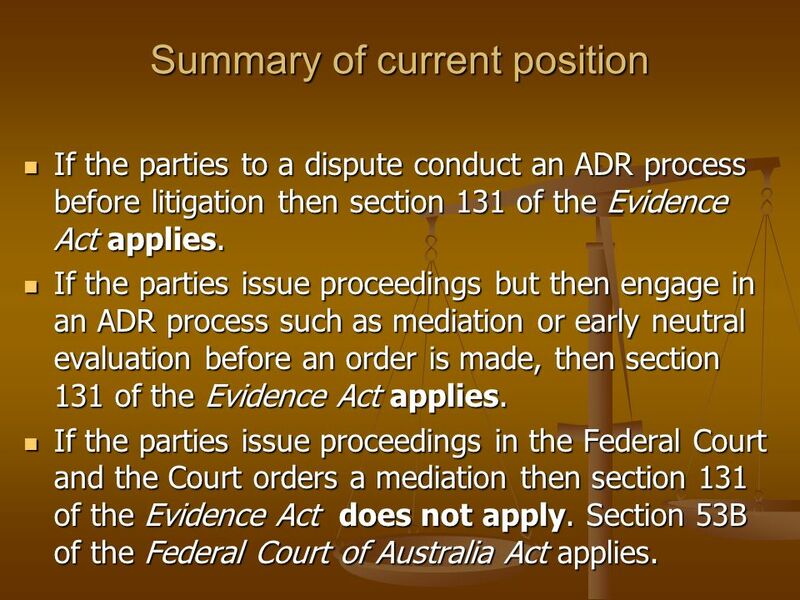 If the parties issue proceedings but then engage in an ADR process such as mediation or early neutral evaluation before an order is made, then section 131 of the Evidence Act applies. 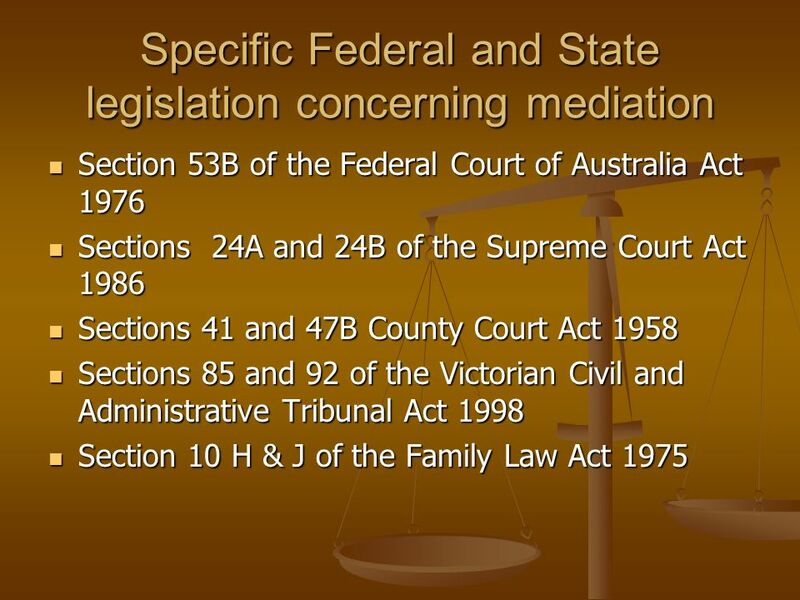 If the parties issue proceedings in the Federal Court and the Court orders a mediation then section 131 of the Evidence Act does not apply. 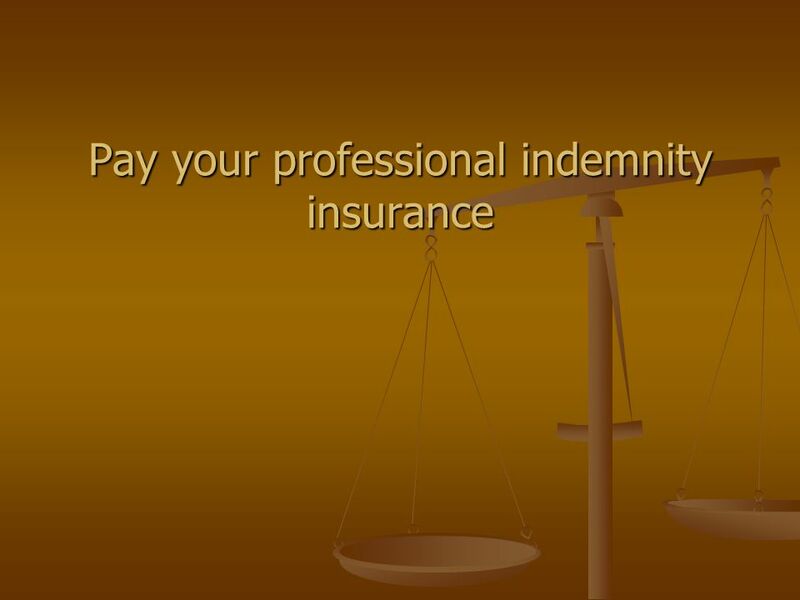 Section 53B of the Federal Court of Australia Act applies. 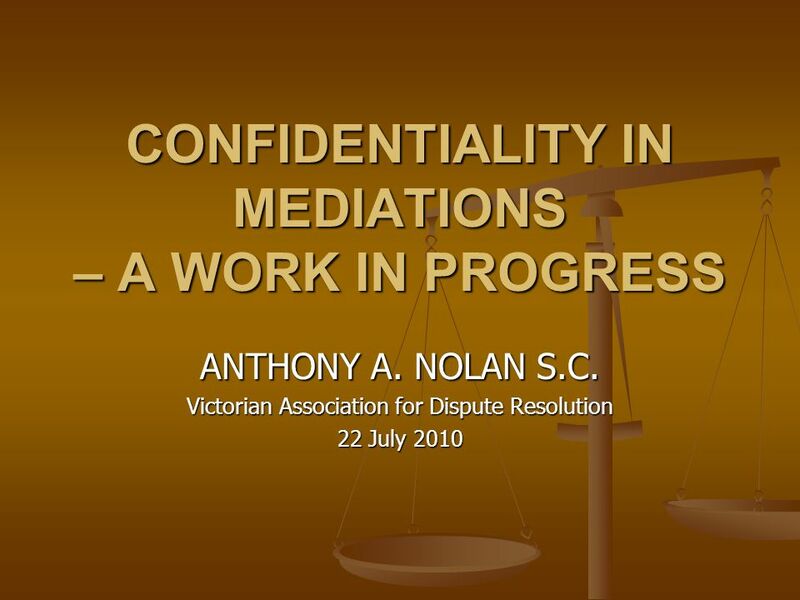 If the parties issue proceedings in the Supreme or County Courts and are ordered to mediation or a case conference then section 131 of the Evidence Act probably does not apply and the Rules of Court will limit the evidence which may be adduced. 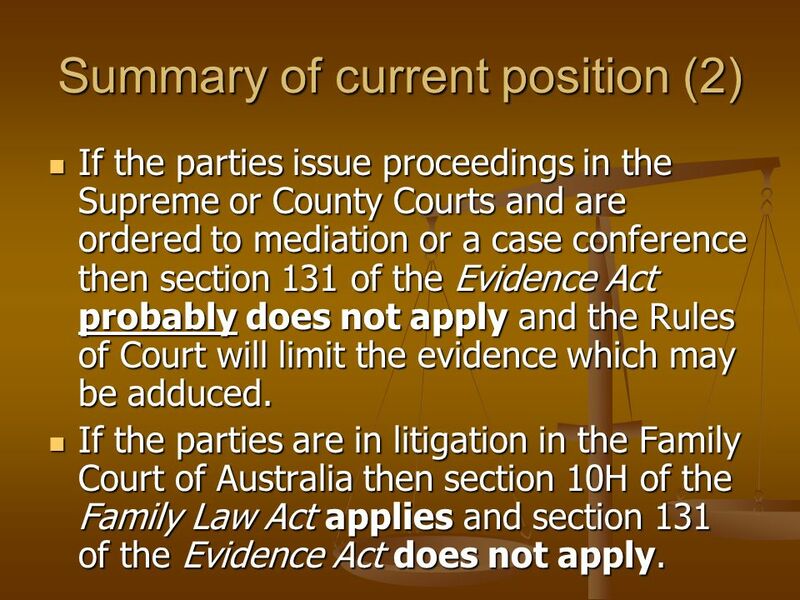 If the parties are in litigation in the Family Court of Australia then section 10H of the Family Law Act applies and section 131 of the Evidence Act does not apply. 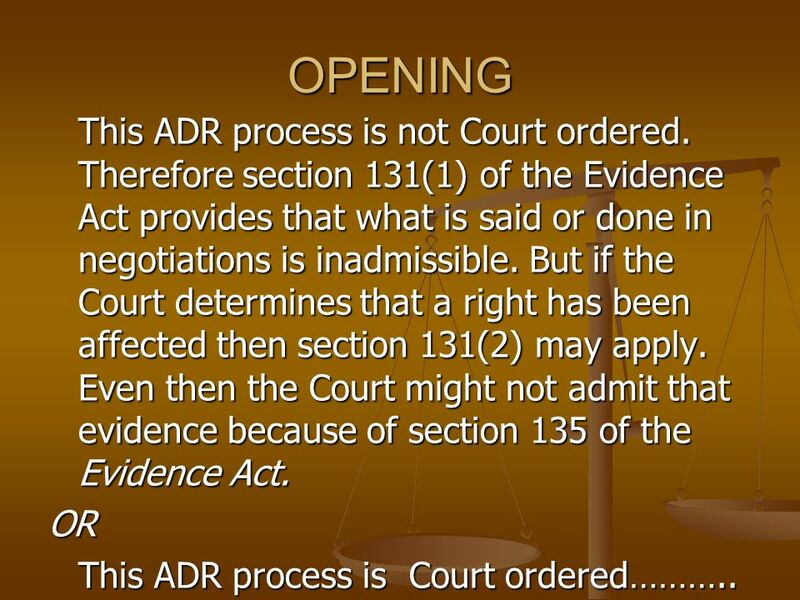 11 OPENING This ADR process is not Court ordered. 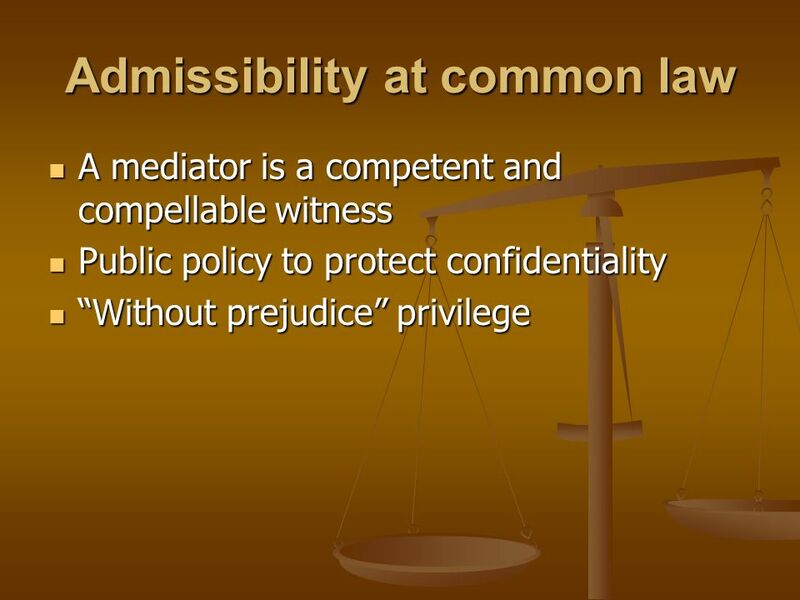 Therefore section 131(1) of the Evidence Act provides that what is said or done in negotiations is inadmissible. But if the Court determines that a right has been affected then section 131(2) may apply. Even then the Court might not admit that evidence because of section 135 of the Evidence Act. 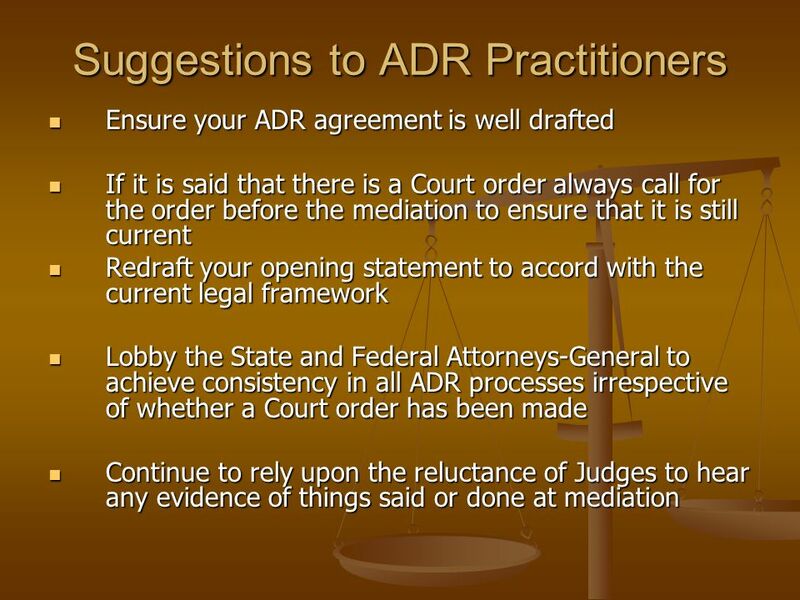 OR This ADR process is Court ordered………..
Download ppt "CONFIDENTIALITY IN MEDIATIONS – A WORK IN PROGRESS"
LEGAL 101 – Two Favourite Concepts: 1.Without Prejudice and 2.Client Legal Privilege THINK.CHANGE.DO. Unit 4 Area of Study 1 Booklet 1.2 Answers. What is the Victorian Civil and Administrative Tribunal (VCAT) The Victorian Civil and Administrative Tribunal. 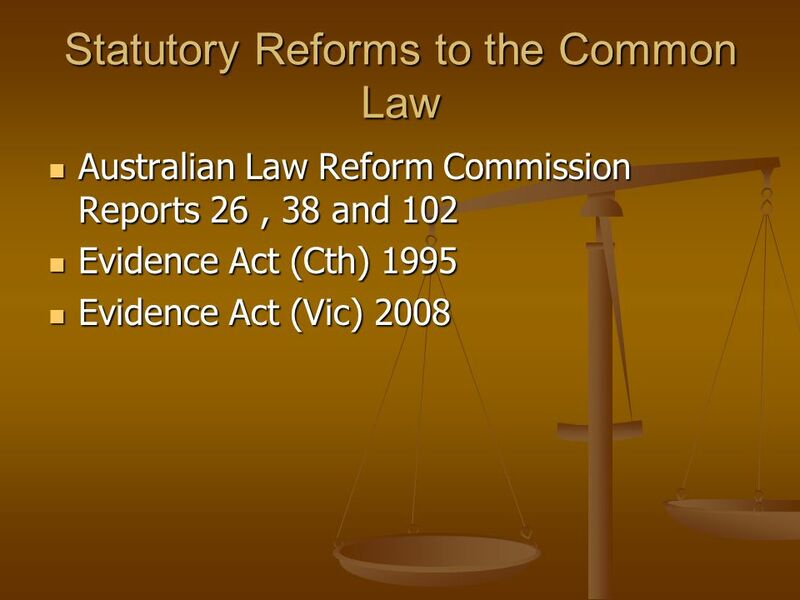 Reforming Law on Violence: Implications for Family Dispute Resolution Professor Hilary Astor Commissioner, NSW Law Reform Commission. 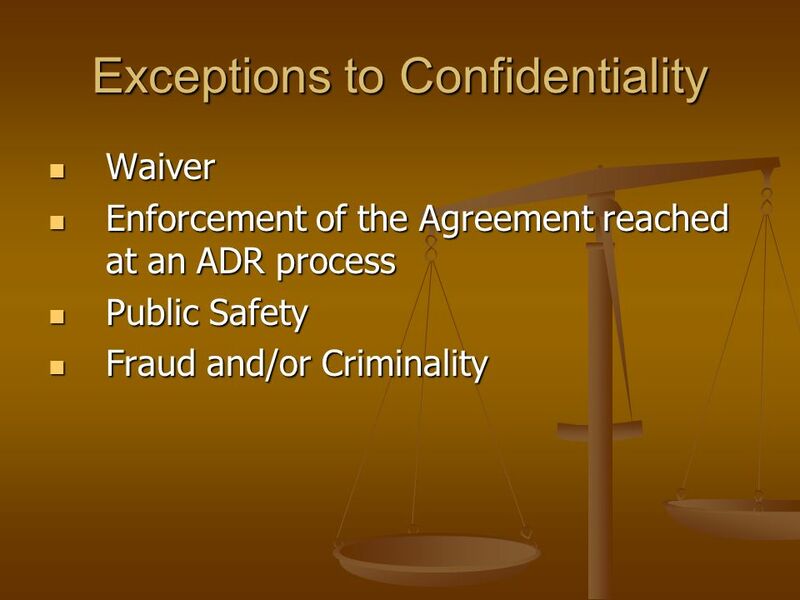 What Small and Emerging Contractors Need to Know Understanding Dispute Resolution Options in the Construction Industry © Copyright 2014 NASBP. Equality Commission Strategic Enforcement 25 March 2010 Eileen Lavery. Courts and the Quest for Justice. In Theory: Courtroom Ideals  Courts have extensive powers in our criminal justice system. 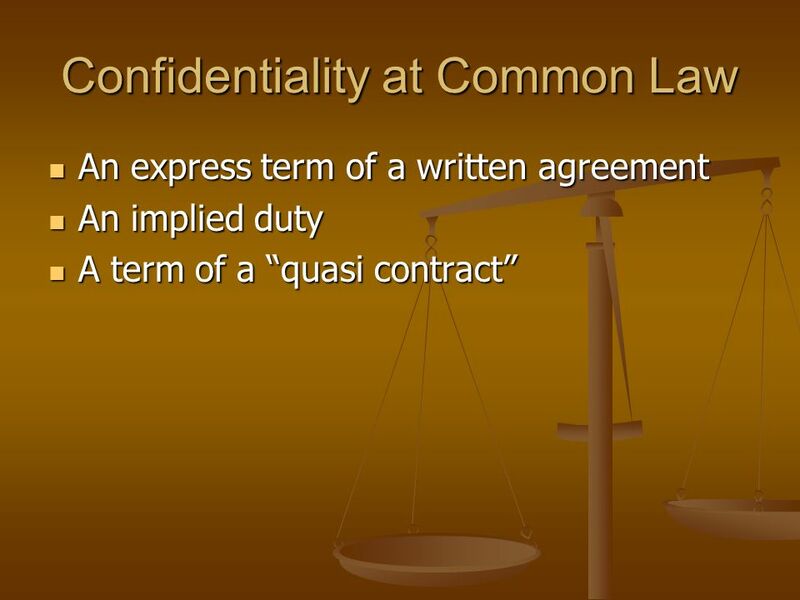  The courts legitimacy is. 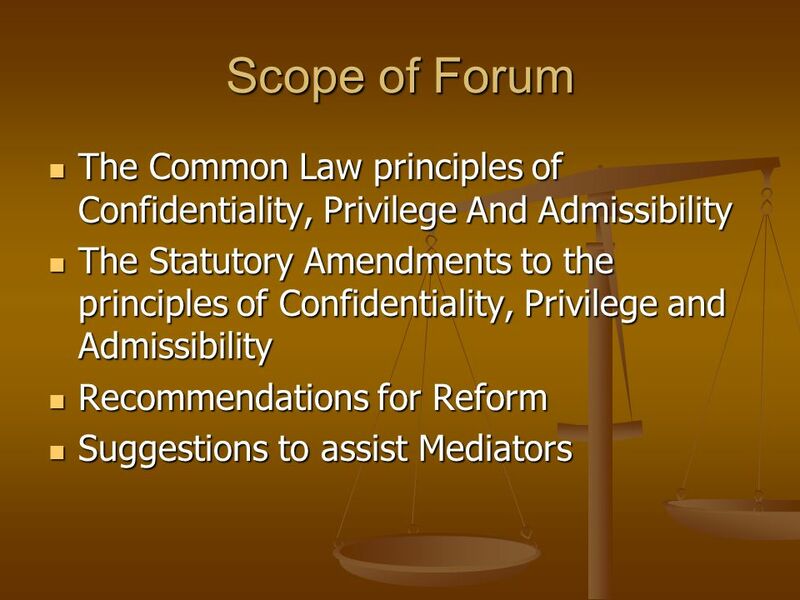 The Civil Procedure Act 2010 An overview 28 July 2011 Rachel Ellyard, Victorian Bar. What are Carve-Outs? Carve-outs were developed to provide the opportunity to establish an improved benefit delivery system for injured workers and to encourage. World Intellectual Property Organization (WIPO) Dispute Settlement and Effective Enforcement of IP. Gerri Spinella Ed.D. Elizabeth McDonald Ed.D.. Copyright © Allyn & Bacon 2007 Key Concepts Chapter 1-Teachers and the Legal System Part I Legal Aspects. Cost Effective Dispute Resolution Alana Dowley Legal Services Director Contract Intelligence Pty Ltd.
COSTS AGREEMENTS AND DISCLOSURES BAR ASSOCIATION CPD SEMINAR 2 AUGUST 2007 By Roger Traves SC. Gerri Spinella Ed.D. Elizabeth McDonald Ed.D. Street Law Review Chapters 1-6.